Today was the first meeting of the district-wide science curriculum team. Over the next several years, we will restructure science education in our district. We are starting 6-12 but will bring in EC-5 in a year or so. 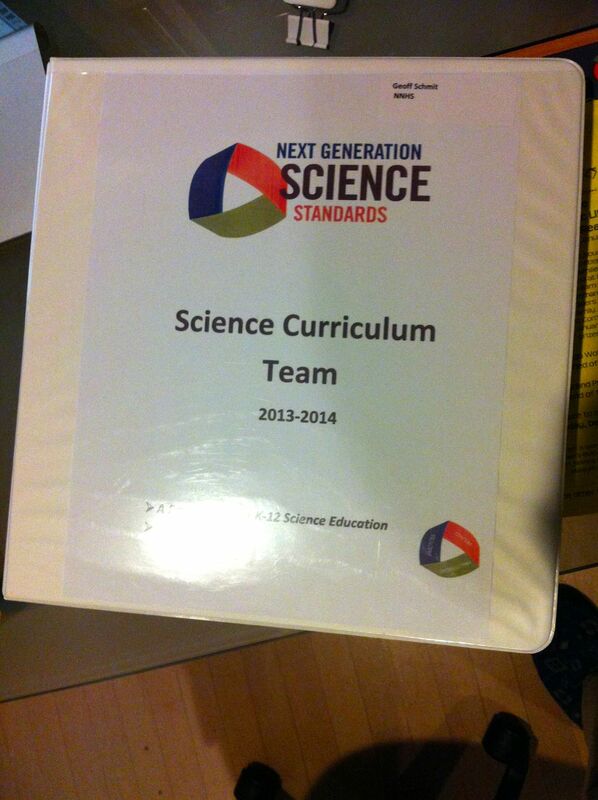 We are focused on the Next Generation Science Standards. This first meeting we started to get to know each other and discussed the conceptual shifts, cross-cutting concepts, and science and engineering practices. We have a ton of work ahead of us, but this is a rare opportunity to dramatically affect science education in our district. Personally, I found it very insightful to listen to junior high teachers since I’ve almost never talked to any of them about science education.